"First in a duology, this darkly thrilling page-turner set in the world of the best-selling His Fair Assassin series is perfect for fans of Throne of Glass, Red Queen, and Game of Thrones. Told in alternating perspectives, when Sybella discovers there is another trained assassin from St. Mortain’s convent deep undercover in the French court, she must use every skill in her arsenal to navigate the deadly royal politics and find her sister in arms before her time - and that of the newly crowned queen - runs out. As these two worlds collide, the fate of the Duchess, Brittany, and everything Sybella and Genevieve have come to love hangs in the balance." 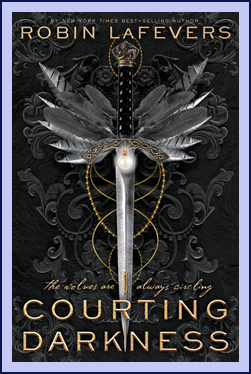 If me having an entire theme month wasn't a big enough hint about how excited I am about this book let me say it again, I am SO excited for Courting Darkness! "Love. Magic. 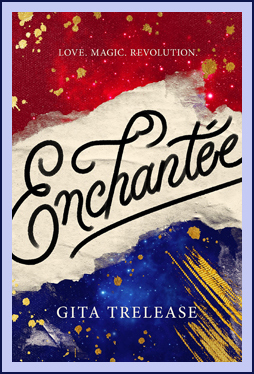 Revolution... Gita Trelease’s debut fantasy about an orphaned girl who uses dark magic to save her sister and herself from ruin is a “must-have” (School Library Journal, starred review)! But magic has its costs, and soon Camille loses control of her secrets. And when revolution erupts, Camille must choose - love or loyalty, democracy or aristocracy, reality of magic - before Paris burns." Can we designate this week as magical France week with these new releases? Published by: Tyndale House Publishers, Inc.
"A beautifully crafted story breathes life into the cameo character from the classic novel A Tale of Two Cities. On a tranquil farm nestled in the French countryside, two orphaned cousins―Renée and Laurette―have been raised under the caring guardianship of young Émile Gagnon, the last of a once-prosperous family. No longer starving girls, Laurette and Renée now spend days tending Gagnon's sheep, and nights in their cozy loft, whispering secrets and dreams in this time of waning innocence and peace. In one night, the best and worst of fate collide. 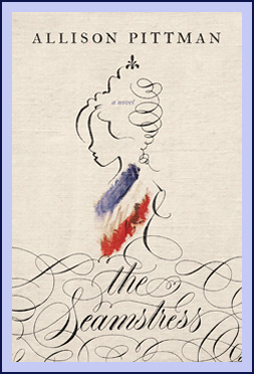 A chance encounter with a fashionable woman will bring Renée’s sewing skills to light and secure a place in the court of Queen Marie Antoinette. An act of reckless passion will throw Laurette into the arms of the increasingly militant Marcel. And Gagnon, steadfast in his faith in God and country, can only watch as those he loves march straight into the heart of the revolution." "A web of secrets and hidden identities ensnare two sisters and their family, in this delightful historical fantasy sequel to The Sisters Mederos. After the shocking events of last summer, the high society of Port Saint Frey has plenty to gossip about. Who was the Gentleman Bandit? Why hasn't he been captured? And what really happened that night when the Guildmaster disappeared? When the Guild hires Abel Fresnel, a detective with special powers of his own, to find the answers, Tesara and Yvienne Mederos have to avoid his probing questions and keep mum about their role in the events of that dark night. Everything's more or less under control until a dead man turns up in the dumbwaiter..."
Intrigue and dumbwaiters, you know you want to read this book! 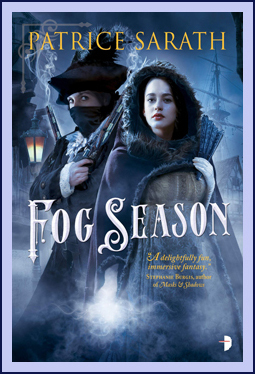 "A young woman hunts for her wayward shadow at the school where she first learned magic--while another faces a test she never studied for as ice envelopes the world. The tasks assigned a bookish boy lead him to fateful encounters with lizards, owls, trolls and a feisty, sarcastic cat. A bear wedding is cause for celebration, the spinning wheel and the tower in the briar hedge get to tell their own stories, and a kitchenmaid finds out that a lost princess is more than she seems. The sea witch reveals what she hoped to gain when she took the mermaid's voice. A wiser Snow White sets out to craft herself a new tale. In these eight stories and twenty-three poems, World Fantasy Award winner Theodora Goss retells and recasts fairy tales by Charles Perrault, the Brothers Grimm, Hans Christian Andersen, and Oscar Wilde. 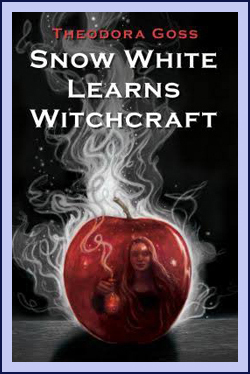 Sometimes harrowing, sometimes hilarious, always lyrical, the works gathered in Snow White Learns Witchcraft re-center and empower the women at the heart of these timeless narratives. Science Fiction and Fantasy Writers of America Grand Master Jane Yolen, in her introduction, proclaims that Goss "transposes, transforms, and transcends times, eras, and old tales with ease. But also there is a core of tough magic that runs through all her pieces like a river through Faerie . . . I am ready to reread some of my new favorites."" I enjoy retellings of Fairy Tales, but I really love when they're retold from a feminist POV. "Includes a brand-new Binti story! 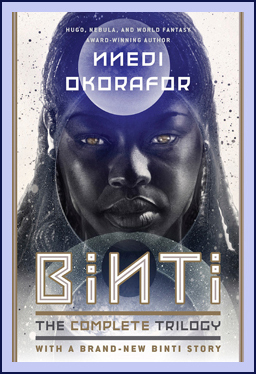 Collected now for the first time in omnibus form, follow Binti's story in this groundbreaking sci-fi trilogy." All your Binti needs now under one cover! "A mysterious lab. A sinister scientist. A secret history. If you think you know the truth behind Eleven’s mother, prepare to have your mind turned Upside Down in this thrilling prequel to the hit show Stranger Things. But the world is changing, and Terry isn’t content to watch from the sidelines. When word gets around about an important government experiment in the small town of Hawkins, she signs on as a test subject for the project, code-named MKULTRA. Unmarked vans, a remote lab deep in the woods, mind-altering substances administered by tight-lipped researchers... and a mystery the young and restless Terry is determined to uncover. 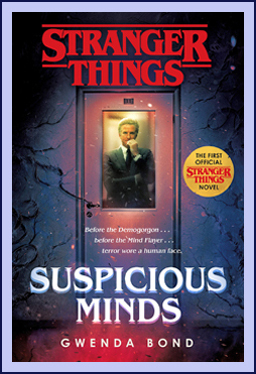 But behind the walls of Hawkins National Laboratory - and the piercing gaze of its director, Dr. Martin Brenner - lurks a conspiracy greater than Terry could have ever imagined. To face it, she’ll need the help of her fellow test subjects, including one so mysterious the world doesn’t know she exists - a young girl with unexplainable superhuman powers and a number instead of a name: 008. Amid the rising tensions of the new decade, Terry Ives and Martin Brenner have begun a different kind of war - one where the human mind is the battlefield." If your one of the millions thinking July 4th is too far away, then this is the book for you! "The new novel in the irresistible and transporting New York Times bestselling Inspector Montalbano mystery series. Alongside this investigation, Montalbano has to deal with an arson case. A shop that sells household appliances has burned down, and its owner, Marcello Di Carlo, seems to have vanished into thin air. Has he run off with his lover after a holiday in the Canary Islands? Is he fleeing from his creditors, or was he murdered by the mafia for not paying their protection money? At first this seems like a trivial case, but a third abduction - yet again of a girl who works in a bank - and the discovery of a body bring up new questions. Whose body is it? And where has Di Carlo’s secret lover gone?" 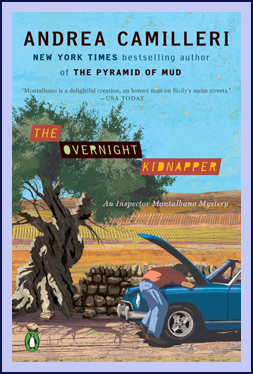 For my mom who loves a good Montalbano mystery! "Yara Zgheib’s poetic and poignant debut novel is a haunting portrait of a young woman’s struggle with anorexia on an intimate journey to reclaim her life. Anna Roux was a professional dancer who followed the man of her dreams from Paris to Missouri. There, alone with her biggest fears - imperfection, failure, loneliness - she spirals down anorexia and depression till she weighs a mere eighty-eight pounds. Forced to seek treatment, she is admitted as a patient at 17 Swann Street, a peach pink house where pale, fragile women with life-threatening eating disorders live. Women like Emm, the veteran; quiet Valerie; Julia, always hungry. Together, they must fight their diseases and face six meals a day. Every bite causes anxiety. Every flavor induces guilt. 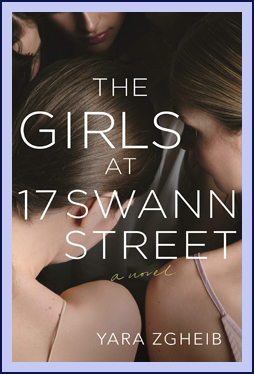 And every step Anna takes toward recovery will require strength, endurance, and the support of the girls at 17 Swann Street." A book about a struggle many have faced. 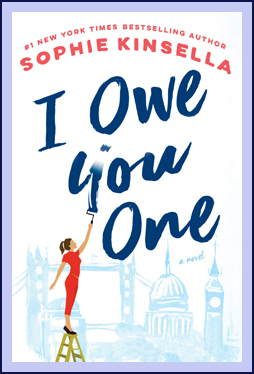 "From #1 New York Times bestselling author Sophie Kinsella comes an irresistible story of love and empowerment about a young woman with a complicated family, a handsome man who might be “the one,” and an IOU that changes everything. But then Fixie’s childhood crush, Ryan, comes back into her life, and his lack of a profession pushes all of Fixie’s buttons. As always, she wants nothing for herself - but she’d love Seb to give Ryan a job. No sooner has Seb agreed than the tables are turned once more and a new series of IOUs between Seb and Fixie - from small favors to life-changing moments - ensues. Soon Fixie, Ms. Fixit for everyone else, is torn between her family and the life she really wants. Does she have the courage to take a stand? Will she finally grab the life, and love, she really wants?" What does every need to get through a cold and bleak February? How about some Chick Lit from the reigning queen, Sophie Kinsella?